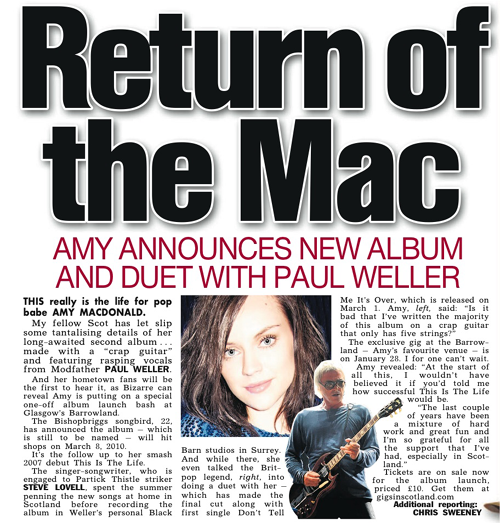 Paul Weller To Appear On Amy MacDonald’s Upcoming Album! – Paul Weller News! Paul Weller To Appear On Amy MacDonald’s Upcoming Album! 1 Comment on Paul Weller To Appear On Amy MacDonald’s Upcoming Album! 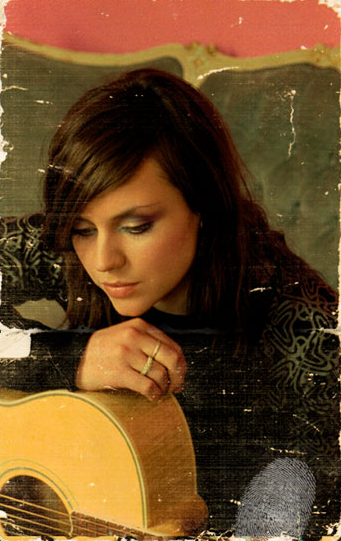 Scottish singer Amy MacDonald’s new album will be released in March and was recorded at Paul’s Black Barn Studios. The album features a duet with Paul. More info HERE! Amy spoke about recording with Paul on the Simon Mayo show on 11 Jan, as well as playing her new single and a cover of “Town Called Malice”. Previous Entry Paul Weller In Latest Issue Of MOJO, Q and UNCUT! Next Entry Paul Weller Unveils New Album Details, Treats Fans To Track-By-Track Guide!